This week we have another duo. That seems to be a trend. (See Sea Dog Saturday -Sid & Samson and Jake & Charlie). 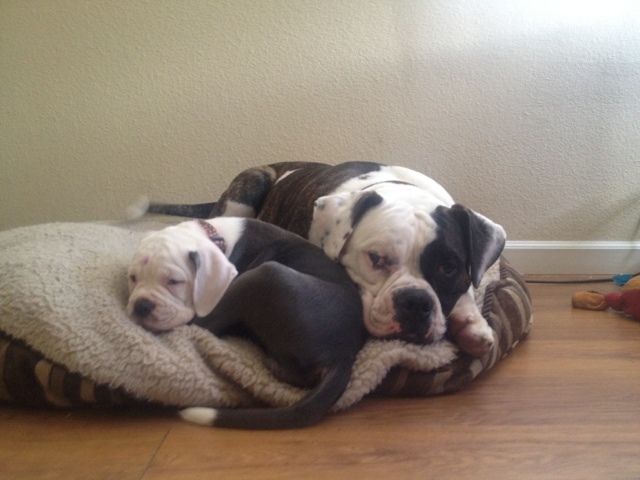 This pair of American Bulldogs are named Moose and Rue. Look at those sweet bully faces. Moose is the older or the two. He's 14 months old and Rue is 10 months. Clearly Moose is not just older, but bigger. 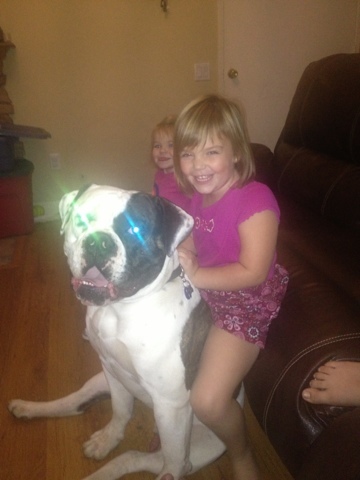 He is 4 months Rue's senior but 40 pounds heavier than she is and weighs in at 110 pounds! 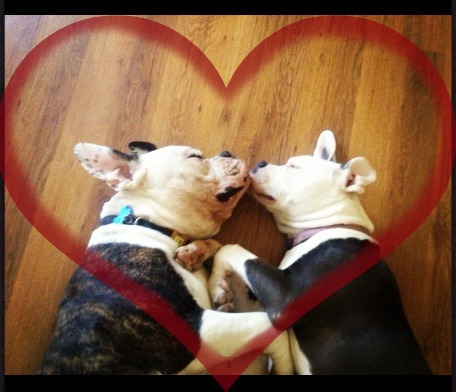 These Bulldog beauties belong to Ronald. He first got Moose from a breeder and soon fell in love with the breed itself. Rue joined the family shortly after to be a buddy to Moose and to be bred as well. Both Moose and Rue are NKC papered. 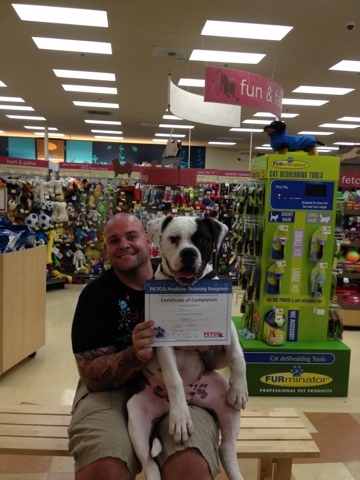 Moose even completed puppy school. Some of their favorite things are car rides. 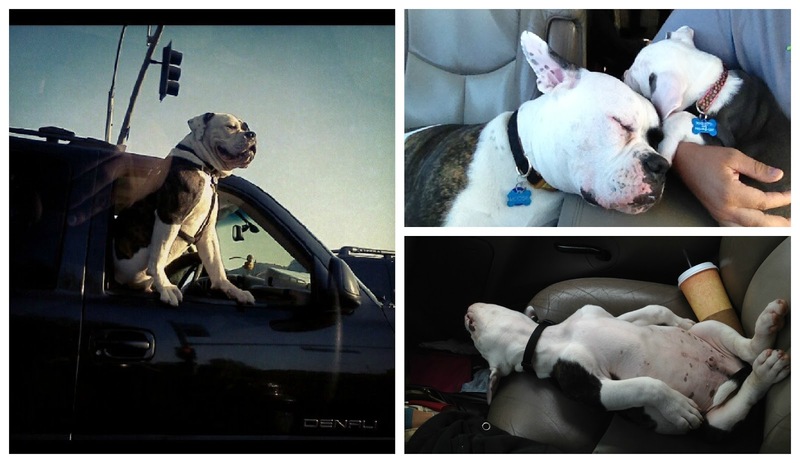 Here is a montage of some great moments in the car. Bottom Right: A young Moose passed out in the backseat. 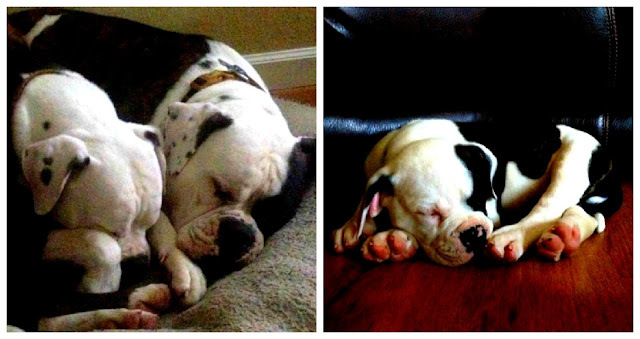 Ron shares that American Bulldogs are "great family dogs with awesome temperament." His dogs "love giving piggy back rides and snuggling, love to chew off heads of Barbie dolls that the kids leave out overnight, and playing tug of war with each other." 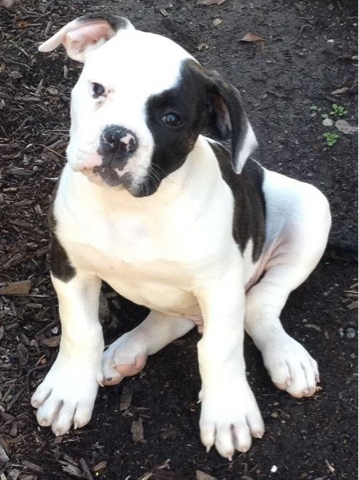 Although American Bulldogs are the biggest of the bully breed, they have the softest temperament. 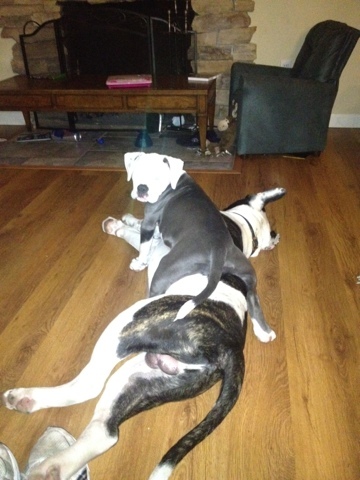 Ron says they are "truly a great family breed that loves to be always in contact." I think the best description is they are "great dreamers with flatulence." adorable dogs. mine were last week's jake and charlie. as you can see from jakey we love bully breed as well. and we agree that they make awesome family dogs. The Captain and I have always wanted an English Bulldog. I don't know if we'll ever get one. We have 3 pugs and will definitely not be adding to that number.